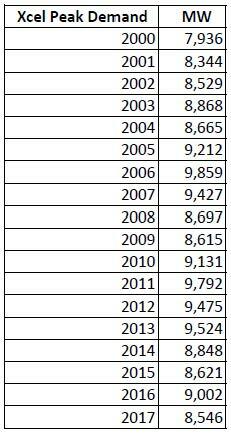 That 8,546 MW is down 1,313 from the 2006 peak. Xcel is now at legislature pushing hard for free rein on money to rehab its Prairie Island plant here in Red Wing. The same plant that was being rehabbed, got a Certificate of Need, and then they withdrew it saying it wasn’t needed. Oh… and now? It’s not adding up, folks.